WASHINGTON – Hugo Nuñez acknowledged that some drivers were unsettled when they first saw the drive-through X-ray machine at the Mariposa Port of Entry in Nogales. The technology, branded Z-Portal by its manufacturer, is essentially a car-size X-ray machine that lets drivers and passengers stay in their vehicle during a security check, rather than the usual routine of getting out while agents inspect it. The “non-invasive inspection technology,” installed in Nogales in 2014, has worked so well that U.S. Customs and Border Protection Commissioner Kevin McAleenan said he wants to eventually expand its use to cover all passenger and commercial vehicles coming through the Mariposa port. “This is an exciting and tremendous development from my perspective,” McAleenan said during the Washington event. 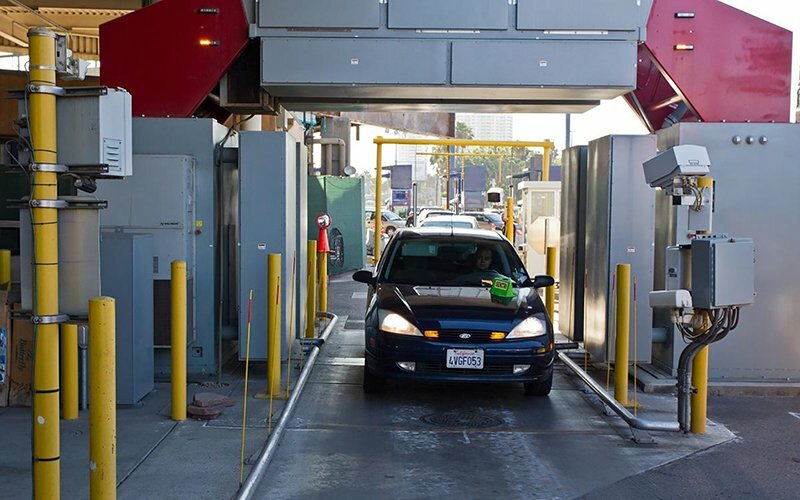 Currently, only about one in five of the vehicles that come through Mariposa are scanned using the Z-Portal technology, according to a CBP official. McAleenan said that trying to put every vehicle through the current scanner set-up would slow down the border, but expanding the technology could allow a trusted driver or truck to pass through the scanner without stopping. Santa Cruz County Sheriff Tony Estrada said he is not familiar with the Z-Portal scanner, but that he could support the technology as long as it does not intrude on personal privacy. A CBP fact sheet on the Z-Portal says it creates “only a silhouette with no facial or body detail of the driver or occupants inside the vehicle” and “cannot be used to identify an individual, or the race, gender or age” of drivers or passengers. People passing through the port also have the option of getting out of their vehicle before it goes through the scanner, letting an officer drive it through instead. But the CBP fact sheet says more than 2,000 trips through the Z-Portal would be required for a person to get the same dose of radiation received from a single chest X-ray. Although the health risks from the scanner are low, Nuñez said, it has had a high impact in yielding illegal substances.